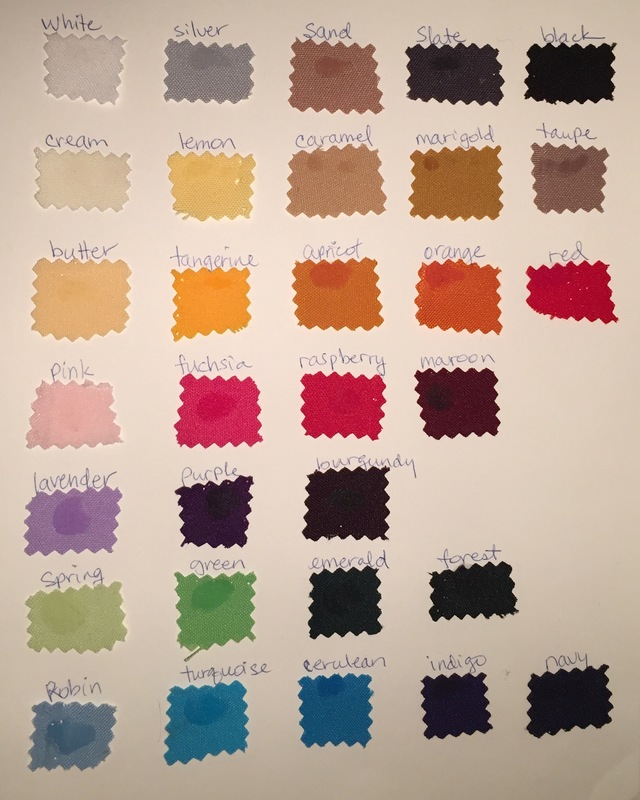 All products now available in Custom colors! 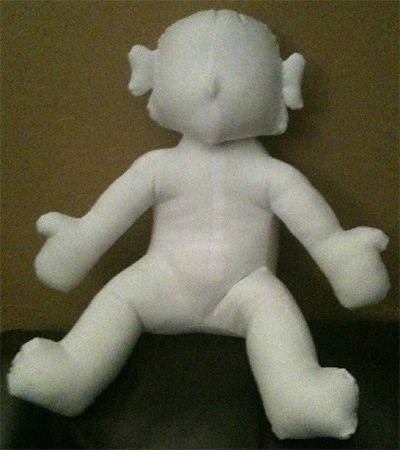 my Blanco™ is a stuffed, washable, white monkey designed as a “blank slate” for children of all ages to artistically express their feelings. This therapy tool comes with washable markers so that whenever the client desires, Blanco™ can be washed clean of the emotions and the individual can “start again” with his or her creative emotional expression. 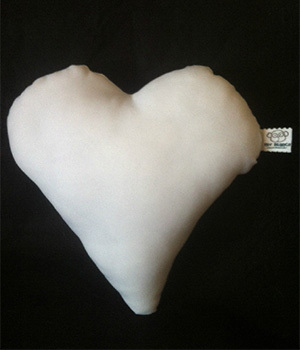 This therapy tool was designed by Renate Allen after speaking to a parent of an abused child. The story, as understood by Ms. Allen, was that the alleged abuser was never brought to justice and the identified child had unresolved concerns without an outlet for expression. Since there was no conviction, free community services were not available and therapy monies soon were exhausted. The child’s mother was left feeling powerless to help her daughter with her care and from this place; Ms. Allen developed the first Blanco™ as a way for the child to express emotions regarding her alleged abuser. The mother accepted the tool with gratitude and later reported that her child enthusiastically marked, colored, and expressed her sadness, rage, terror, etc. on Blanco™. Blanco™ accepted and held these emotions until the child was ready to move on – at this point the monkey was washed. Over time, the child’s worries declined and her sense of empowerment increased. Ms. Allen, noting this child’s improvements, felt a desire to share this resource with play therapists for use in their child practices. While this tool was developed for children, its usefulness is ageless. 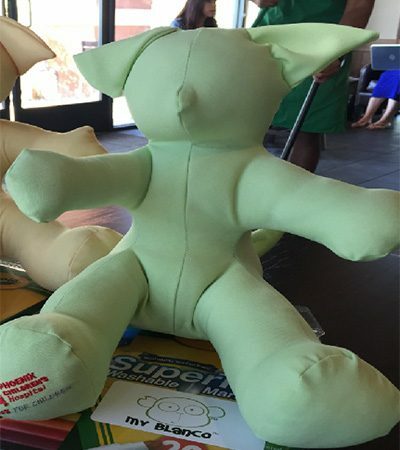 It can be used for individuals aged 3 to 93. The child client is presented with my Blanco™. my Blanco™ or Blanco™is the name of the tool – the children are encouraged to name the item according to their needs/desires. 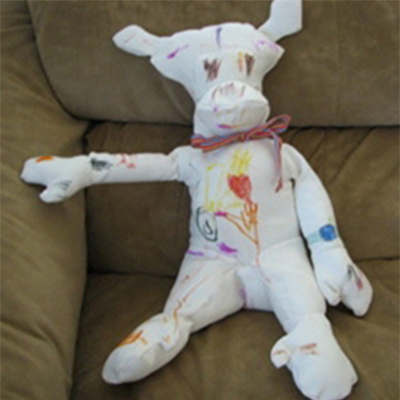 Once Blanco™is renamed, the child is given washable markers and told they can draw, write, and create anything they would like on the item that would let the therapist understand more about their feelings. If this is a small child, the therapist may need to assist in developing a short list of emotion possibilities. (Examples: Mad, Sad, Glad) The child then designs whatever is needed on the item and at the end of their creation is encouraged to share (although not required) their experience or explain the art on the Blanco™. An example question might be: “Is there anything you can tell me about what you’ve created on Blanco™ (or the new name the child has given the tool)? The therapist listens to the child’s responses and therapeutically determines if additional inquires are helpful. At the end of the experience the therapist asks if the child would like the item washed so as to have a clean start for next time; if the child would like the item left as is to add more at another time or to have it remain unchanged. 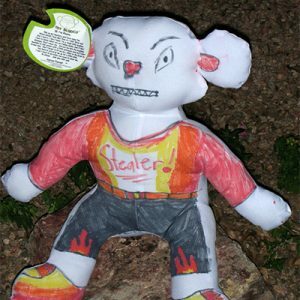 Transitional object when a child leaves therapy – this could be the item a child takes away from treatment and uses like a personal journal. Family therapy tool –in session folks communicate on the item with markers to facilitate direct expression. 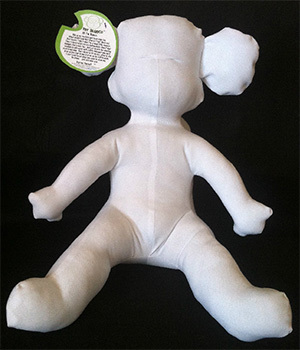 General play travel toy – for use in the car when traveling to assist in preventing or resolving sibling conflicts. 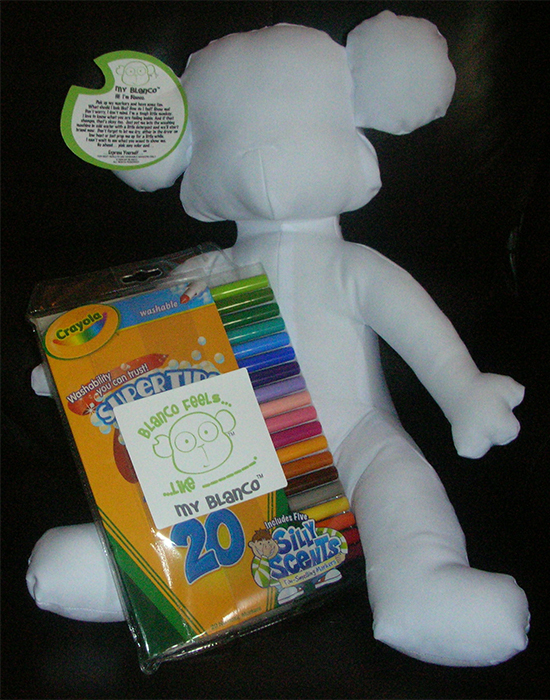 This is what I look like when I arrive, and one package of markers will be included for each Blanco (product) purchased. The first client that worked with Blanco had abuse issues. Her father had sexually abused her when she was around two years of age. Once mom realized what was occurring, she removed the little girl from his care. Yet, the court insisted on visitation. It took a forensic counselor to stop this situation from continuing. Although the interaction with her father had stopped, the damage was done. Stephanie was ten when she first came in for counseling and she was a very outgoing child until it was time to talk about her father. At that point she would shut down. After several months of trying to get Stephanie to open up, to no avail, Blanco was introduced into her life. It was then that Stephanie began to let out her frustration and anger. She would draw all over Blanco and the pictures would vary in their intensity. Stephanie would throw Blanco across the room and yell and scream at him. Finally after several months, Stephanie was able to talk about what happened and her healing began. It was at that point that she was able to say that she was done with Blanco and thanked him for his help in her recovery. The second client that benefited from Blanco was four year old Matthew. He was brought in by his father. Matthew’s father was very concerned about his son because he would return from visits with his mother and state strange things. Dad stated that one time he came home and stated that his mother gave him beer and that he preferred juice. After several sessions Matthew began to talk about “flame”. He would state that “flame” was mean to him and that “flame” would hurt him. At that point Blanco came in to the picture. 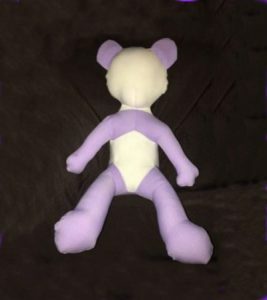 Matthew would fight Blanco at first and he would always name him “flame.” Eventually Matthew would begin to draw “owies” on Blanco. After he would draw and owie, Matthew would want me to put a Band-Aid on it. I would draw a Band-Aid, and he would continue to draw the “owies”. One day Matthew came in and stated that his mommy had kicked him in the head. He then showed me the welt on his head. After several calls to the child protective services agency, for this incident and several others, nothing happened. Dad went back to court and the judge would do nothing to protect this little boy. Dad contacted the police and a detective was to interview Matthew. I suggested that Dad take Blanco with him and he did. The detective began the interview by talking and having Matthew draw, she was unable to get him to open up at all. The detective then decided to bring Blanco out. Matthew began to draw. As he drew he told the detective all the things that his mother had done and showed her where his mother and her boyfriend had been hitting him. He also confirmed that “flame” was the boyfriend. Blanco gave this little boy a voice and that voice aided in removing him from an abusive situation. Finally, I am working with a young boy that is going through a very difficult divorce situation. Nate is five and his parents divorced approximately two years ago. His father is very angry with the situation and tends to put Nate in the middle. Nate uses Blanco to express his anger. He will throw him around the room and then draw blood on him. Nate will then resurrect him and give him muscles and then throw him around the room again. At times Nate will ask that I will fight him with Blanco so that he can beat him up. Blanco has been a great help with Nate in expressing and releasing the anger that he feels at what he is going through. A picture from a little girl that has behavior issues and is doing well. My Blanco as born on August 28, 2006 to be a therapeutic outlet for an abused child. 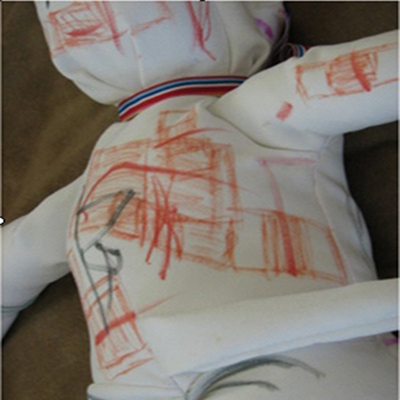 The Play Therapist who administered My Blanco found the child to be engaged in safe anger expression that the child had previously avoided when using other techniques. 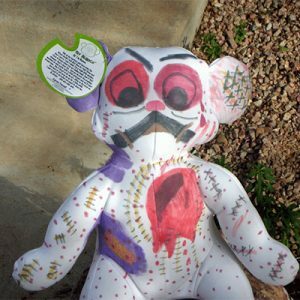 This outlet served to be a catalyst for the child to express the anger inside and to help begin the healing process that was so desperately needed. My Blanco is a versatile and non-suggestive 3-dimensional canvas for expressive artistry. 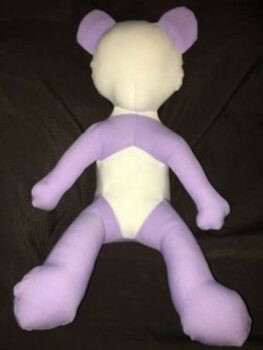 Order yours today and be Re-markable! 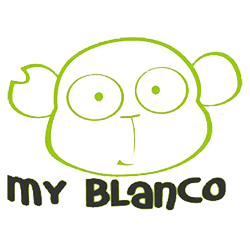 If you would like to donate a My Blanco product, please click the DONATE button above. Please include a phone number so I can call you for more information on your desired donation. Place all my Blanco Products into a pillowcase and tie shut. Wash all my Blanco in cold water or just rinse with cold water at the sink and allow to drip dry overnight. 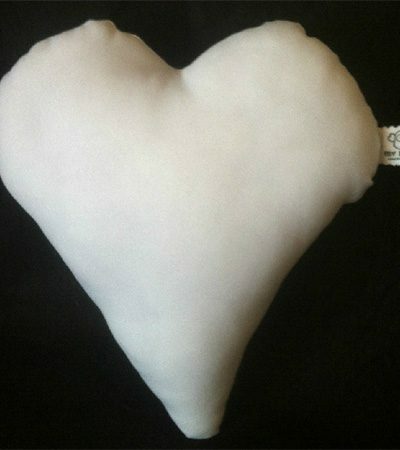 (I hang my bigger Blancos by their ears or the hearts by the bottom, puppets from their heads on a pants clip-style hanger to drip dry.) If you put Blanco products into the dryer, please dry them on low heat and tumble them; place all my Blanco into an individual pillow case, don’t want them to scorch. 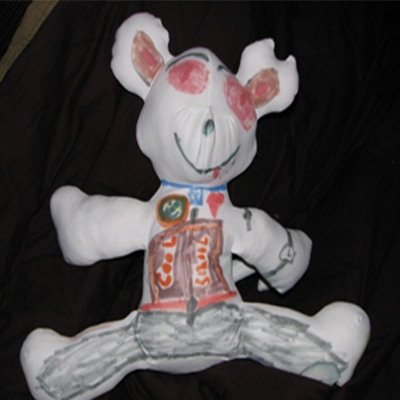 Here’s an artists’ depiction of a bruised an abused Blanco. Here’s an original drawing,the “Stealer” as an expression of anger. Send your my Blanco art photos to myblanco.net@gmail.com to have them uploaded to this site. We reserve the right to publish photos at our discretion. Please do not include any drawings that are being used as evidence in an investigation. My Blanco monkey figures, heart and puppets are an essential addition to a play therapy play room. 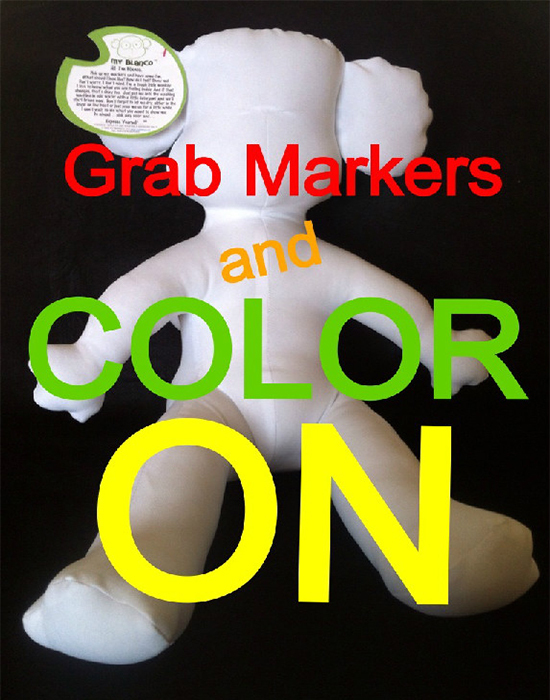 You can use them again and again after children draw on them. 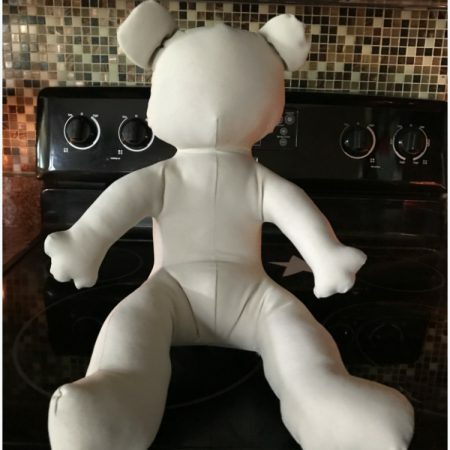 Her new addition of a washable puppet family is particularly exciting for those of us working with children and families. 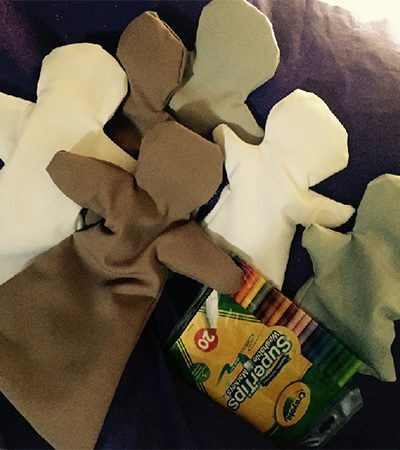 Therapeutic Use: My Blanco™ – Express Yourself!